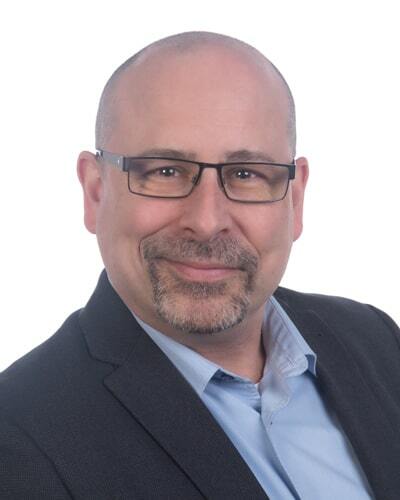 Founder and leader of Vokeso, Sylvain Lafond has been successfully working in the ERP industry for more than twenty years now. He has gained valuable experience, most notably following an international career. Sylvain has also authored a book on ERP deployments. Vokeso is proud to count on a highly skilled team of Aptean ROSS ERP and Microsoft Dynamics 365 Business Central (NAV) and Dynamics 365 Sales -CRM experts able to accompany organizations in their digital evolution. Assuredly, Vokeso wants to share its expertise with anyone wishing to know more on the subject. At Vokeso, our vocation is to promote the wellbeing of our customers, our team and our partners by serving organizations for whom their integrated management system represents a strategic element. Our evolution is intimately linked to that of our clients. We understand that leadership is expressed through service. With our training, sales and consulting activities, we support those who buy, deploy and use ERP and CRM systems. We believe in a direct and transparent communication between the customer and our team. No call center, just a direct link to your consultant. For us, the resolution of your issues is a priority. Every project you undertake with us inevitably targets one or many business goals. We commit to offering you the additional value your organization deserves. The achievement of your objectives is a key indicator of our solution’s effectiveness in your business. If we realize that a given initiative will not provide the expected benefits, we will – in complete transparency – share this with you. Do not be concerned, we make sure that we only propose solutions that meet your requirements. We endeavor to be recognized for our professionalism and expertise in our domain. To that effect, we instinctively opt for quality over quantity. At Vokeso, we also bank on the expertise and experience of our consultants to offer our customers the best possible service. You have some questions? Do not hesitate to contact us today.